All tailored towards toddlers, these colouring and activity pages are great first steps into the stories of God's word. Colouring Pages Help Toddlers Learn That God Loves Them! No matter which children's curriculum you use or what type of children's ministry program you have Big Books will provide hours of creative Bible learning and fun! You'll find games art activities colouring pages creative storytelling object lessons Bible talks crafts puzzles science experiments and more! Plus each Big Book is reproducible and comes with perforated pages and a Scripture index. 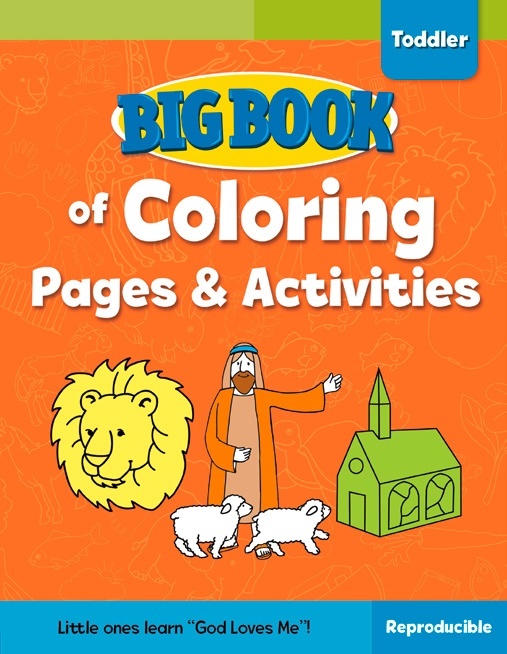 Big Book Of Colouring Pages And Activities For Toddlers by David C Cook was published by David C Cook in February 2018 and is our 2929th best seller. The ISBN for Big Book Of Colouring Pages And Activities For Toddlers is 9780830772377. 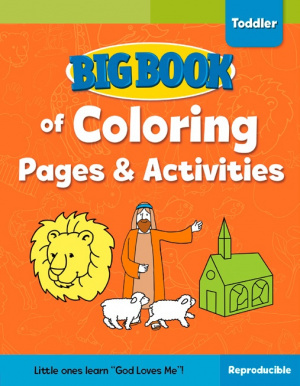 Be the first to review Big Book Of Colouring Pages And Activities For Toddlers! Got a question? No problem! Just click here to ask us about Big Book Of Colouring Pages And Activities For Toddlers.